Below are answers to common or important questions. What does it mean that your systems are digital? Why is that important? I want to build a planetarium. Where should I start? Can I rent a system for my school or birthday party? Can the same projection system be used in domes of different sizes? What is the maximum dome size recommended for a Digitarium system? What is the minimum dome size for a Digitarium system? Will stars be larger on a larger dome? How high a contrast ratio do I need? If I project a rectangular image, movie, or PowerPoint through your projector, what will it look like? Do I need a 3D stereo projector for an immersive experience? Where do I put my projection system in a fixed dome? Where do I put my projection system in a portable dome? What are the main differences between your Digitarium models? Why are your systems so expensive? Why are your systems so affordable? How can your systems be the best value? How does a Digitarium system compare to a spherical mirror projection system? Why is a Digitarium system a better value than a higher resolution spherical mirror type system? What does it mean that some competing systems have truncated projection? How does a Digitarium system compare to an analog portable projector like a Classic Analog STARLAB®? What software does a Digitarium system run? Can it run Starry Night, Celestia, The Sky, etc.? What differences are there between Nightshade and Stellarium? Can I save money by using my own computer with your systems? From what culture(s) are the constellation labels, line drawings, and artwork? I don't know anything about the Linux operating system. Will I still be able to use a Digitarium system? How do I get software and data updates? What formats are supported by the Digitarium system's multimedia player? What prerecorded shows are included with Digitarium systems? Are other prerecorded shows available for Digitarium systems? Can I use my silver STARLAB® dome with a Digitarium system? Can I set up a Digitalis Dome outside? Is the Digitalis Dome handicapped accessible? What is the procedure for an emergency exit from a Digitalis Dome? How can I see a Digitarium system in use? Can someone at Digitalis help me apply for a grant or sponsorship? What kind of maintenance is required by the projector and dome? Is there a warranty for your products? How long does it take to get a Digitarium system or Digitalis Dome? How do I find out if there is a local distributor in my country? I want to be a sales agent or distributor for your equipment. What do I need to do? A digital planetarium system is a computer based system using digital projection, as opposed to an analog type pin-hole or lens based projection system. It is a huge difference, because a computer based system is so much more flexible than an analog system. Think of the difference between a computer and a slide projector and you start to see the power of a digital system. In a digital system, the projected image is made up of individual pixels. Because the dome is covered by an array of pixels rather than a fixed set of holes or lenses, anything can be projected: views from other planets, videos, images, other applications. Analog systems can often produce smaller stars and higher contrast ratios, but without any of the flexibility of digital systems. So unless your goal is to try to match the night sky as closely as possible, and nothing more, you really need a digital planetarium system. For more detail, see How does a Digitarium system compare to an analog portable projector like a Classic Analog STARLAB®?. The International Planetarium Society has a guide to designing and building a planetarium. Although it has not been updated in two decades, it may be useful to get started. Visit or call several planetariums with specific questions. We are happy to provide assistance and point you to resources applicable to your situation, just contact us. We do not offer system rentals. Try your local science center or natural history museum as a starting point, and contact us if you can not find a local outreach program. It depends on the Digitarium model. See the specification tables for fixed or portable systems. Your dome surface reflectivity and projection content will also play a role in determining what model is acceptable. Generally there is no minimum dome size. At the surface of the dome each pixel will be physically larger on a larger dome. However, angular pixel dimensions do not change with dome size, so on average pixels do not appear larger to an audience. 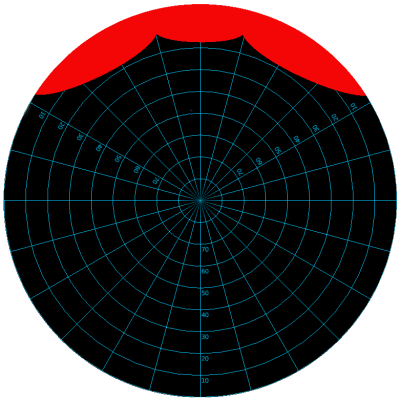 Someone sitting next to the side of the dome will obviously see larger pixels nearby than on the opposite side of the dome due to their perspective. Someone seated near the middle would not notice any difference other than brightness between domes of different sizes. In a planetarium, it is somewhat distracting if the dark areas of a starfield are a dark gray rather than a full black. How black the dark areas appear depends on a number of factors, including the contrast ratio of your projector. The contrast ratio of a projector is the ratio of the luminance of a white projection compared to a black projection. Digital projectors usually have much lower contrast ratios than analog projectors, which is just inherent to the technology differences. The higher the contrast ratio, the darker the black areas are compared to the bright areas. With a low contrast ratio, blacks appear as dark gray rather than true black. 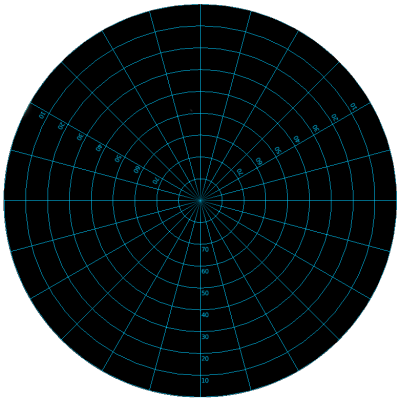 Typically a dome used with a digital projection system is gray to enhance black areas. This also helps reduce cross-reflection on the dome in bright scenes, which can be substantial. It is the black level luminance perceived by the audience that is what you should focus on, although selecting an acceptable level is subjective. The projector contrast ratio affects the black level, but not as much as the dome reflecivity level. Fisheye projectors will introduce a large amount of distortion if you project a standard perspective image or application at full projector resolution. By distortion we mean that the projected image is deformed from its natural shape. In a Digitarium system a central circular area of the video source is projected onto the dome. The outer rim of the circle is projected at the horizon, and the center of the image is the zenith (top of the dome). This is called a polar projection. If you projected a PowerPoint slide full of text at full projector resolution, you would see your text cover the entire dome, but half of it would be upside down as it wraps past the zenith. However, since May, 2009 Digitarium systems have performed dynamic distortion correction, so you do not need to worry about this. Simply display your image in perspective projection mode. You can adjust the size, orientation, and placement of the image or video on the dome, and even mirror it on two sides of the dome for easier viewing by your audience. If you have a fisheye image or fulldome video, simply switch to fulldome projection mode with one button press. Unlike some competing systems, you can easily go from media file to media file for a slide show type use, choose other drives or directories with a visual menu, or switch back and forth seamlessly between your media and the sky simulation. All of this is at your fingertips with our unbelievably easy to use remote control. While we are on this subject, we should point out that fulldome applications and content are designed to immerse the audience in a 3D environment -- it is not possible to add this extra dimension to regular perspective content after the fact. So while you can show distortion corrected perspective content on the dome, it will not be the same as showing immersive fulldome content. Absolutely not. There is a lot of hype around stereoscopic 3D dome projection systems. The audience must wear special glasses in order for each eye to see slightly different images, which produces the 3D effect. We feel this is mostly another way for vendors to sell more hardware. A dome is already an immersive 3D environment, so there is no need to add awkward glasses and ever more complex and expensive hardware. Part of what makes the dome such a wonderful immersive experience is that you are not encumbered by any special equipment that restricts your field of view or movement. Add to this the benefit of experiencing this in a social group setting. Any kind of motion on screen will produce the clear illusion of depth, and stereoscopic vision is not required. In everyday life, your brain can only use stereoscopic vision within about 3m of your face. This is not your primary means of perceiving the dimensionality of the world around you. Using the same projector, brightness can be reduced by 50% or more just to get each eye a separate image. With a flat screen, the offset of each eye is easy to accomodate as the viewing position is known. With a dome, every audience member has a quite different position and can look in any direction -- that tends to result in poor results in large areas of the dome. Some people are unable to view stereo 3D projections due to physiological differences (estimates are up to 12% of the population). Glasses are easy to lose or damage and can be expensive to replace. Try out different options with our 3D visualizer. Ideally a single lens Digitarium system is placed in the center of the dome, whether fixed or portable. However, most Digitarium systems support distortion correction for some amount of lens offset from the center of the dome to work around an existing starball or other obstacle. We also offer an optional elevator mount system for some models. Digitarium Aethos systems can support either center or cove mounting. Most of our single lens fixed dome systems are designed to be easy to install yourself, but we also offer professional installation services. Contact us for more information. Just place your system in the center of your inflatable dome once the dome is inflated. It takes up one seat. All of our Digitarium models run similar software and have the same basic functionality. This table gives a general idea of price related differences in our lineup. See the specification tables for fixed or portable systems for details. Our systems are more expensive than most portable analog projectors primarily because they are highly precise digital systems; digital components are more expensive than analog. However, they provide an enormous amount of flexibility for the price, and we feel that our systems easily justify their higher prices. Yet the cost of one of our planetarium systems and dome can be comparable in price to some fully equipped portable analog systems that still only provide a fraction of the functionality. Our prices are dramatically lower than most other digital planetarium systems. Making educational tools that are too expensive for educators to afford does not advance the teaching of astronomy. We designed our systems from the beginning to be affordable to any institution. We also produce systems in much larger quantities than any of our competitors, thanks to the unrivaled popularity of our systems. That gives us savings in economies of scale that we can pass on in lower prices without compromising on quality. All our Digitarium systems are proudly designed and assembled in the United States from high quality domestic and imported components. Our proprietary lenses are designed and built in the USA to our high standards using the finest imported optical glasses. Because of our easy to use, high quality, reliable systems, our technical support costs are low. This allows us to keep our prices reasonable, yet offer incredible lifetime support for all of our systems. We believe our Digitarium systems offer the best value on the market for serious astronomy educators. While we have quite affordable prices compared to many other vendors, prices can only go so low without seriously cutting corners. There are some bad systems out there that sound (and are) too good to be true. Think of it this way: would you buy a $500 car? A $500 car is extremely affordable. It probably looks bad, runs on the rough side, and you never know if it will take you where you want to go. The price per pound of such a car is amazing! Maybe 20 cents a pound. But let's face it, at best this is an option for those who can not afford something that looks better, runs better, has lower maintenance costs, features like air conditioning, a warranty, etc. Although extremely affordable, who would confuse a $500 car with being a good value? And yet this mistake occurs all the time, and sometimes in the planetarium world, where affordability is confused with value. You can get the cheapest system on the market, but it almost certainly is not the best value for your money. Conversely, we also see the situation where people think they need to spend hundreds of thousands of dollars to get a serious planetarium system. But most people don't need a $200,000 Ferrari to commute to work -- it's a status symbol more than anything else. Value, of course, depends on your specific needs and uses. Figure out which characteristics are most important to you, then do your homework. See a few competing systems, try operating them, and speak to other customers before you decide if each system fits your needs. Comparing systems based on things like the cost per pixel is as ridiculous as using price per pound when shopping for a car. Just as the quality and engineering of the components that make up the mass of a vehicle are what matter, it is the quality of the projected pixels and the features and support behind the system that matter, not how many total pixels there are per dollar. This is counter-intuitive for most people, but a lower resolution, sharply focused image in fact looks much better than an image with, for example, twice as many pixels that are blurry, distorted, or dim. Below is an example of an even more extreme 4:1 resolution ratio (yes, that is a Ferrari). The best value is logically the system that gives you the largest benefits at the lowest total cost of ownership. Do not neglect support and maintenance costs down the road. Like a $500 car, affordable sometimes just means cheap. Spherical mirror dome projection systems, such as MirrorDome developed at Swinburne University in Australia, consist of a portion of a spherical mirror, a data projector aimed at the mirror, and a computer running specialized software. The software has to "warp" each video frame before sending it to the projector in order to counteract the severe distortion from the mirror. After reflecting off the mirror images are projected onto a dome. are placed at the edge of the dome. can project more pixels for a given projection resolution due to the mirror geometry. do not cover the entire dome in the most common (brightest, highest resolution) configuration. produce pixels which vary widely in size and focus across the dome. [A]void touching the metalized [mirror] surface at all. At a minimum wear latex or vinyl gloves when handling to avoid leaving fingerprints. Whenever possible wear soft cotton or nylon gloves over the latex or vinyl ones. Turn your head to avoid talking over the mirror (minute amounts of saliva are often imperceptibly released into the air while talking) or wear a nose and mouth mask. Once you get something on the mirror it hurts the projection and is hard to remove without further damaging the mirror. [A]void abrasive contact with any object- the plastic [mirror] will easily (and permanently) scratch. This includes most cloth, paper towels, etc. use off-the-shelf projectors to possibly allow local warranty and future upgrades (not all projector models work with spherical mirrors). have a varying black level across the dome (varying black sky brightness, for example). Software luminance correction can't correct this. can introduce some visual artifacts due to warping. Warping artifacts arise when an original source video frame is warped and some detail has to be compressed, resulting in reduced image quality. This is more noticeable with starfields than with videos or images. 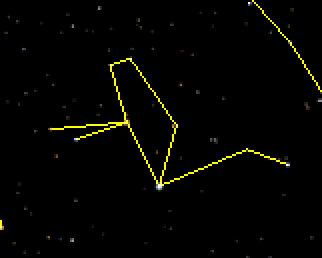 Here is an illustration: These are two screen shots of the constellation Grus. The first image is a fragment of a standard fisheye view in Stellarium 0.9.1, SXGA resolution, 180 degree fullscreen view. The second image is with the same configuration, but using the standard Stellarium mirror warping feature with the default configuration. Both fragments have been enlarged by a factor of two (with no interpolation). The Grus outline has an angular size of approximately 19 degrees. 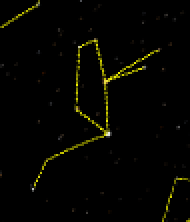 The constellation lines have some odd warping artifacts, but also some of the dimmer stars are now almost invisible. Note that these are screenshots from the video frame before it even gets projected. Quality on the dome will depend on many factors, including the software you are using and how it is configured. are placed at the center of the dome. project the full sky and a complete horizon for the most effective and easiest astronomy teaching. do not require software warping. Projected pixels match the source frames, be they starfields or fulldome video. project any fulldome application with no overhead or compatibility issues. Any standard fulldome application on any operating system can be used as a video source. have essentially equal sized pixels across the entire dome. have a user interface which is more ergonomic and easier to learn and use (backlit, handheld remote control). take up significantly less space in the dome. can update themselves automatically over the Internet on demand (free for the life of the system). No need to maintain software configurations, troubleshoot compatibility problems, manually apply upgrades, etc. come with free technical support for the life of the system. use off-the-shelf projectors to allow local warranty and service in most areas of the world. are designed for high reliability with a solid state hard drive and no laptop computer. are second and third generation products enhanced by feedback from users around the world. Using a spherical mirror for planetarium projection has a number of drawbacks. In particular we would highlight the typical lack of full sky projection, lack of crisp focus, and bulky setup. Plus you miss out on the many benefits of a Digitarium, including the uniquely easy to use handheld remote control interface and absence of software maintenance headaches. For astronomy educators the sheer number of pixels projected is simply not the most important feature of a planetarium system. A spherical mirror is an option to consider only if a fisheye planetarium system is out of reach. In that case you might put together your own system for a fraction of the cost of a pre-assembled system. Nightshade planetarium software, which we help develop, is free and already includes a spherical mirror warping mode. So all you need is a mirror, a compatible projector, a computer, and time to put it together. Here is a FAQ on the subject. If you opt for a commercial spherical projection system, make sure it is bright enough for your dome size in the contrast mode you intend to use and that the warping is configured for your dome (to avoid distorted projection). We have seen some providers cutting corners with these types of systems. We highly recommend that you compare a few competing planetarium systems in person before making a purchasing decision. Be sure to insist on a written return policy with any commercial system so that you have an opportunity to return it if you are not happy with it! Projection quality: We have never seen a single projector spherical mirror system that can focus on more than about half of the dome at the same time—no matter how high the projector resolution is. Eye strain can be a real issue, the focus can be so bad. Durability: You can't permanently damage your Digitarium by touching it or talking near it, unlike sensitive first surface mirrors. See the above question for more detail on this. Digitarium lenses are easy to clean should the need arise with a lens cleaning kit. Projection coverage: If you want to teach astronomy you really need the full sky. Mirror systems all seem to cut out portions of the sky to pump up the total resolution. That's OK for movies, but it's the wrong tradeoff for a planetarium where you want to immerse your students in the full sky. With a digital planetarium, resolution is actually not that important. That may sound heretical, but think about it: with a starfield most of the pixels are off, so a higher resolution only shrinks each star. At the resolutions we're talking about, that's hardly noticeable. Effective Resolution: While mirror systems use more pixels, they waste a lot of these near the mirror due to the non-uniformity of the projection. Pixels on the far side of the dome are much larger than those near the mirror. With a Digitarium system all pixels/stars are similarly sized across the dome. Usability: Our remote control interface offers the best usability on the market, yet it does not compromise on software capabilities. The ease of use reduces your training costs. Another advantage is that you are not tethered to your computer—you can teach from anywhere in the dome rather than being tied to a laptop and obtuse key commands or software interfaces. With a Digitarium system everything just works, you don't need to manually download, install, or configure any software. No matter what size dome you have, the sky will not be distorted and you can play any fulldome movie with no warping headaches. Product support: We are one of the main developers of the software run by our Digitarium systems and we can offer unparalleled support. Historically most spherical mirror system sellers have used Stellarium, but NONE ever contributed to the project. At least with some sellers, software knowledge seems lacking, judging by the poorly configured versions that we have seen. Our three year limited warranty is longer than most of our competitors. Unique to Digitalis, we offer free technical support and free software updates for the life of each Digitarium system. There are no hidden long term support or maintenance contract costs. So you can see why we believe we have the best value for an educational planetarium system. While it's easy to focus on resolution or up front costs when evaluating competing systems, it's very important to consider the true benefits and costs of ownership for your intended use. We strongly recommend that you see a few competing systems in person and try using them yourself (really!) before making a purchase decision. We don't want to see more people make mistakes that are preventable with a little extra effort up front. It's just a fact that many systems can sound better on paper than they actually perform in the real world. Want to see a Digitarium system near you? Systems with a truncated projection do not project over a full hemispherical dome -- some portions of the sky are not projected. Usually truncation is a tradeoff to reduce costs or improve resolution in the areas that are projected. Digitarium Systems are true full-dome systems and project the entire sky with a full, uninterrupted horizon onto a dome. We feel that for astronomy education having a full sky projection is critical. The whole point of a planetarium is to immerse the audience in a full simulation of the night sky so that three dimensional concepts can be experienced first hand. Having empty black areas in the sky makes both teaching and learning in a planetarium more difficult for obvious reasons. Here is a visual comparison of approximate sky coverage for 1.) a fulldome system such as a Digitarium, 2.) a spherical mirror system with a 4:3 aspect projector, and 3.) a truncated 4:3 aspect fisheye projection system. Red areas are areas with no projection coverage. The digital technology used in a Digitarium system offers many advantages over portable analog systems. These typically use partially transparent cylinders or cubes over a light source to project onto a dome. A Digitarium system can demonstrate annual motion, including retrograde planetary motion. You can even turn on the time lapse feature to highlight motion. Portable analog projectors like a Classic Analog STARLAB® are by design limited to daily motion; the Sun, naked-eye planets, and moon move with the starfield until you manually reposition them. A Digitarium system automatically and exactly positions and phases celestial objects for you. It includes an extensive database of bodies, moons, and stars. Classic Analog STARLAB® users must manually position the Sun, planets, and moon using a system of mirrors and magnets and only the Moon can be phased. A Digitarium system's software automatically accounts for precession of the equinoxes and even stellar proper motion. Portable analog systems do not have these features. A Digitarium allows you to transition from the northern to southern hemisphere and back seamlessly. At least with a Classic Analog STARLAB® you must have the separate hemisphere cylinders and switch these manually. It is easier to start teaching with a Digitarium system. If you do not know what an object is you can simply select it to identify it and then zoom in on it or possibly fly to it to explore further (Nightshade NG Professional is required to fly outside the solar system). Explore using the intuitive buttons on the unique handheld remote control, or in the optional Universal Console interface. The gamepad interface allows smooth exploration of the universe, and is particularly suited for students to "drive." Free curricula is provided with your system, including in convenient Augmented Lessons format for use with the Universal Console so that you can walk through a lesson without interrupting your show to refer to paperwork. With an analog portable projector, your curriculum is not integrated into your system so you either have to memorize what you need to know, refer to your lesson/references during your show (disruptive in the dark dome), or answer later. Portable analog systems are much dimmer than digital systems, so disturbing dark adaptation of your audience with stray light is much more of an issue. A Digitarium system has an integrated multimedia player which allows you to show your own images or videos from a USB drive or internal hard drive. You can easily play prerecorded fulldome shows. Analog systems at best offer a clear cylinder that you can write on with pens. With a Digitarium system you can show constellation line drawings, artwork, and labels one at a time, all at once, or in groups of your choice. Line drawings and labels from multiple cultures are built in to the system. An analog system would require the purchase of additional cylinders and then switching these manually. A Digitarium system can display dynamic reference lines and grids that can not be duplicated by any portable analog systems. A Digitarium system's software can be upgraded over the Internet via an ethernet port. This allows Digitarium system users to download the latest features and images over the Internet. In short, a Digitarium system offers tremendously more flexibility, capability, and cost effectiveness than any portable analog system. Digitarium systems run Nightshade, simulation software maintained by Digitalis. You can connect a separate computer to the projector to project other applications. However, the application needs to support fisheye rendering (polar projection) to be useful. You also must make sure that this use doesn't conflict with the software's license. Read more detail about Nightshade. You would not have the ease of use of our unique remote control or Universal Console interfaces—the laptop keyboard would be your only interface. You will not have access to the dome projection version of our planetarium software, Nightshade NG. You would not get built-in dome aware multimedia support. You would also need to maintain the operating system and all software yourself. We develop and maintain all of the software on the Digitarium control computer, so there are never any compatibility headaches. We make sure all system software and hardware works properly together before releasing an update. You would not have the ability to easily add large data sets, some of which will only be available for Digitarium systems. There will be no dedicated support team to answer your phone or email questions. Currently we have line drawings, labels, IAU borders, and artwork by Meuris, Bode, and Hevelius for the 88 official Western constellations. We also have line drawings and labels for Polynesian, Aztec, Inca, Chinese, Navajo, Lakota, Inuit, Sami, Norse, and ancient Egyptian constellations, most without artwork. Users can easily create their own sky cultures for their own use and share this with other Nightshade users. As we add new constellation cultures, we make these available as free software upates. You don't need to know a thing about Linux to run the system. You can't even tell what operating system is running, as the system is operated via a hand-held remote control (or iPad if you use our Universal Console interface). Hook your Digitarium system up to an ethernet network with Internet access (see the user manual if you need more information on this), bring up the menu, scroll down to “Administration,” then select Administration sub-item “Update me over the Internet.” The computer will do the rest for you. Software updates are free for the life of your system. MPEG-2 and MPEG-4 are the best supported video formats. Almost all image formats are supported, plus WAV and OGG audio. If you have a question about a specific format, contact us. Are other prerecorded shows available for the Digitarium system? An extensive list of fulldome shows and producers is maintained by Loch Ness Productions. To be shown on a Digitarium system a show just needs to be sized appropriately and saved in a supported video format. Contact the show producer for the best pricing. They can contact our technical support for encoding recommendations if needed. You can also create your own shows using the StratoScript scripting features of Nightshade on a desktop computer and play these back (including an audio track) on your system. Yes, a Digitarium system will work with any portable dome. However, if you project anything besides dark starfields you will see the extensive wrinkling in the silver STARLAB® domes. The reflective surface is also problematic. The Digitalis Dome is specifically designed to be used with digital projectors. Our design has fewer wrinkles and no entrance tunnel interrupting the projection surface. No. Setting up a Digitalis Dome outside is strongly discouraged. The dome is lightweight and could blow away, harming your audience or equipment, plus the outdoor environment could damage your dome. Yes. The dome does not have a solid floor; the wall of the dome wraps around and creates a skirt about 18 inches/45 cm wide which rests on the floor. To admit a person in a wheelchair, simply lift a side of the dome and push the wheelchair under. This process is much easier if you have a second person to help you lift the side of the dome. Once the dome is lowered back to the ground, it will reinflate fully in about one minute. As mentioned above, Digitalis Domes do not have a solid floor, so audiences can exit the dome very quickly by lifting the side and ducking under. Detailed instructions are included with your dome so that you can practice before hosting audiences. How does a Digitalis Dome compare to others? The introductory video on our Digitalis Domes page is the best resource. If at all possible, check out a dome in person and talk to existing users before making a decision. One of our customers who switched from another brand posted his detailed comments online. Be aware that there are a lot of domes listed for sale online that are highly suspect. We have had our product photos (with our staff still in the photos!) used by some of these scammers. Go to our see one page to review our conference schedule and demo policy. Yes, you can contact Karrie Berglund, Director of Education, for help with funding proposals. However, please first read our funding page to see if it gives you the information you need. Note that we also offer a lease to own program that would allow you to spread the cost of a puchase over multiple budget years to make a purchase easier. Most of our systems require very little maintenance. Projector lenses will need to be dusted and possibly cleaned from time to time with a lens tissue and alcohol (see your user manual for more information). Lamps will need to be replaced when they burn out or reach the end of their design life (the projector tracks usage information for you). You should have your system checked for dust accumulation once a year and cleaned if necessary. Digitalis Domes can be cleaned with a damp sponge if needed. See our standard three year limited warranty. Typically one to eight weeks, depending on inventory levels. We try to stock all the products we sell. Contact us for a current turnaround estimate. All of our distributors are listed on our contact us page. Contact us to discuss the possibility. All company, product and service names used in this FAQ are for identification purposes only. STARLAB is a registered trademark of Science First, LLC. The Universal Console is a FANTASTIC upgrade. Even our most tech averse teachers love it. Q:What differences are there between Nightshade and Stellarium?